Piers Morgan, formerly of CNN and Trinity Mirror, has been appointed editor-at-large of MailOnline's US operation. The 49-year-old British journalist officially parted ways with CNN after four years last month. He will now write for the fast-growing MailOnline US website several times a week. According to a MailOnline news story, Morgan’s remit is to "dissect and comment on the big stories that matter in America". He will also continue to host the ITV confessional 'Piers Morgan’s Life Stories', while "pursuing new television ventures in the US". Morgan described MailOnline as an "addictive pleasure" and the "most successful and dynamic platform in the world of news". He said: "News should never be boring and MailOnline tells the stories of the day in a compelling, informative and entertaining way that grabs the interest of its readers. "As editor-at-large (US) I plan on breaking down the biggest stories that matter to Americans and analysing them in a way that will generate discussion and create debate." 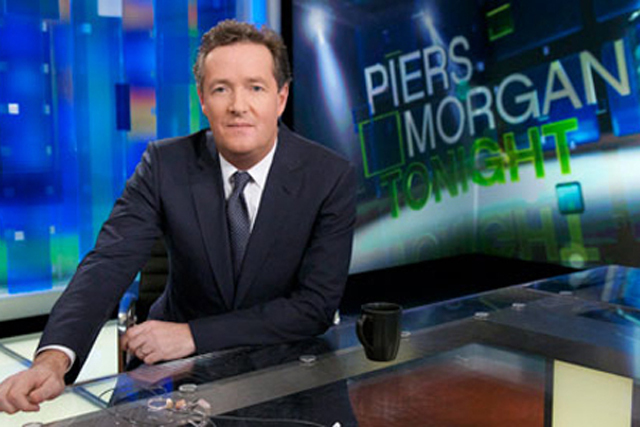 Martin Clarke, publisher and editor-in-chief of MailOnline said: "Piers is a fantastic addition to MailOnline. He has vast experience as an editor and presenter, and certainly knows how to generate conversation and create debate, so we’re delighted that he will be joining us as our first ever editor-at-large." MailOnline is now attracting more monthly unique browsers from its US operation than the UK, helping to keep its target of generating £60 million from advertising for 2014 on track. In August, MailOnline attracted 180 million monthly unique browsers across its international network. Behind the global figure, MailOnline in the UK was responsible for around 56 million, while its three-year-old US operation drew 60 million monthly browsers, according to Stephen Daintith, finance director at DMGT. When it comes to daily usage, MailOnline’s UK operation continues to attract the most activity, with 4.6 million browsers compared to 4.3 million from the US. However, the gap is closing and the US is expected to catch-up with MailOnline’s UK daily engagement over the coming months. MailOnline employs around 600 staff, with 150 in the US (of which 40 are commercial) and more than 400 people in the UK. Morgan has been a journalist for 25 years, having started at the Wimbledon News. He joined The Sun as a columnist in 1989. In 1994, when he was just 28 years old, he became editor of The News of the World. He was editor in chief of the Daily Mirror from 1995 until 2004, before being sacked for publishing alleged fake photographs of British troops abusing Iraqi detainees.